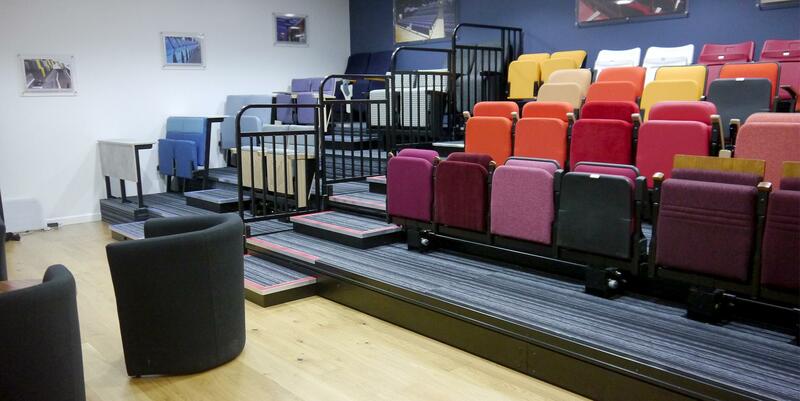 Audience Systems invites you to visit our brand new showroom! Based at our factory in Wiltshire, UK, the showroom features all our latest chair designs and has had a great reception from clients who have visited so far. With a working retractable system installed, the showroom has some nifty new features such as perspex decks and illuminated understructure so you can literally see the nuts and bolts of what you're buying. It really helps us to show our customers the differences between our retractable seating systems and others on the market. You can also try out different fascia and rail designs, and of course tour our factory to see exactly how our seating is put together. To arrange a visit, please just get in touch.